Rage Power Sport Easily haul extra gear, supplies, and cargo along on the trail or while out hunting with a rear ATV storage rack basket. 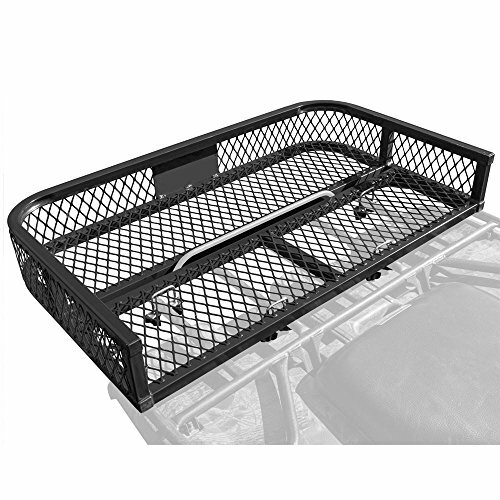 The ATV rack features a heavy duty steel frame with mesh sides and bottom designed to provide plenty of tie-down points while allowing water or debris to flow through the mesh rack. Includes a 3/4" slot to fit over a rear ATV rack bar, necessary mounting hardware for tube-style racks, and a durable black paint finish. If you have any questions about this product by Black Widow, contact us by completing and submitting the form below. If you are looking for a specif part number, please include it with your message.